The Gonzo Laughter Loft returns this month with RTE star Jarlath Reganheadlining. There will be support from 3 local comedy acts, Daniel Brady, Cormac McCann and Kevin McGahern. The night will be MC'd by another Cavan comedian, David Reilly. 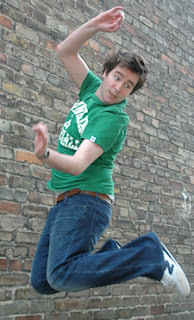 David is an up and coming staron the Irish comedy scene and has performed to audiences all overIreland and the UK. stuff…causing near hysteria in the room” and The Irish Times refers to him as “comic genius”. If you have not had the chance to see him yet, now is the time.